Bain, David Haward. The Old Iron Road. An Epic of Rails, Roads, and the Urge to Go West. London. Penguin. 2004. 434 pps. Octavo. Soft cover. First edition. Illustrated. Fine copy. 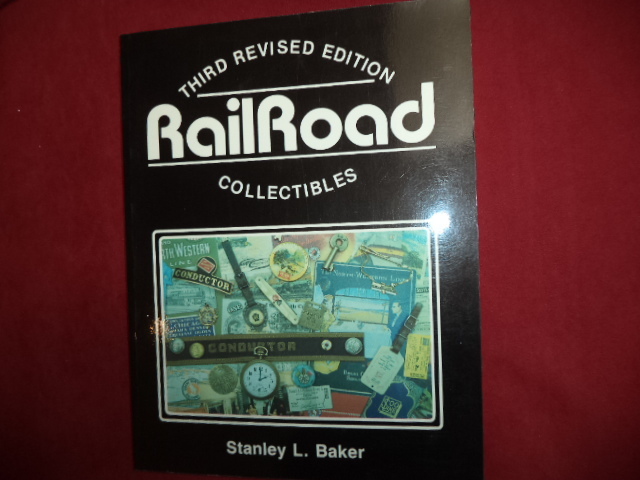 Baker, Stanley L. The Collector's Book of Railroad Collectibles. Paducah. Collectors Books. 1985. 240 pps. 4to. Hardcover. Revised edition. Illustrated in color and black & white. Fine copy. Baker, Stanley. Railroad Collectibles. An Illustrated Value Guide. Paducah. Collector Books. 1981. 4to. Soft cover. 2nd edition. Illustrated in black, white and color. Very good copy. Light shelf wear. Baker, Stanley. The Collector's Book of Railroadiana. New York. Hawthorne Books. 1975. 240 pps. 4to. Hardcover. First edition. Illustrated. Fine copy in fine dust jacket (in mylar). Baker, Stanley. The Collector's Book of Railroadiana. New York. Castle. 1976. 240 pps. 4to. Hardcover. Reprint. Illustrated in black, white and color. Fine copy in fine dust jacket (in mylar). Baker, Stanley. The Collector's Book of Railroadiana. New York. Hawthorne Books. 1990. 240 pps. 4to. Pictorial soft cover. Illustrated in color and black & white. Fine copy. Baker, Stanley. The Collector's Book of Railroadiana. New York. Castle. 1981. 240 pps. 4to. Hardcover. Reprint. Illustrated in black, white and color. Fine copy in very good (light shelf wear) dust jacket (in mylar). Baker, Stanley. The Railroadiana Collector's Price Guide. New York. Hawthorne Books. 1981. 200 pps. Octavo. Soft cover. Second edition. Illustrated in color and black & white. Fine copy. Ball, Don. America's Colorful Railroads. A Pictorial History of the Rail's Transition from Steam to Diesel. New York. Bonanza. 1978. 210 pps. 4to. Hardcover. Reprint. Illustrated in color and black & white. Fine copy. Ball, Don. America's Railroads: The Second Generation. New York. W.W. Norton. 1980. 216 pps. 4to. Hardcover. Reprint. Illustrated in color and black & white. Fine copy in near fine dust jacket (in mylar). Ball, Don. Railroads. An American Journey. Boston. New York Graphic Society. 1975. 288 pps. Octavo. Hardcover. First edition. Illustrated. Fine copy in near fine dust jacket (in mylar). Ball, Don. Railroads. An American Journey. New York. Bonanza Books. 1985. 288 pps. Octavo. Hardcover. Reprint. Illustrated. Fine copy. Beckett, Derrick. Bridges. Great Buildings of the World. London. Paul Hamlyn. 1969. 192 pps. Octavo. Hardcover. First edition. Illustrated. Fine copy in near fine dust jacket (in mylar). Beebe, Lucius & Charles Clegg. The American West. The Pictorial Epic of a Continent. New York. Bonanza Books. 1955. 511 pps. 4to. Hardcover. Reprint. Illustrated. Fine copy in near fine dust jacket (in mylar). Beebe, Lucius & Charles Clegg. The American West. The Pictorial Epic of a Continent. New York. E.P. Dutton & Co. 1955. 511 pps. 4to. Hardcover. First edition. Illustrated. Fine copy in fine dust jacket (in mylar). Beebe, Lucius and Charles Clegg. Cable Car Carnival. Oakland. Grahame H. Hardy. 1951. 135 pps. 4to. Hardcover. Second edition. Photographs, line drawings. Fine copy in very good (light shelf wear) dust jacket (in mylar). Beebe, Lucius and Charles Clegg. Hear the Train Blow. 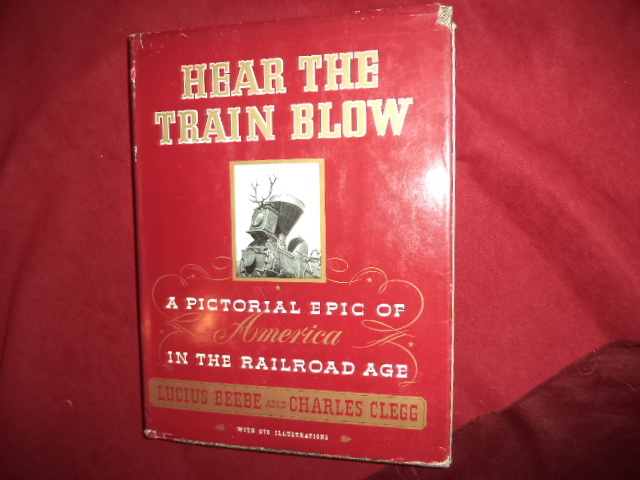 A Pictorial Epic of America in the Railroad Age. New York. Grosset & Dunlap. 1952. 381 pps. 4to. Hardcover. Reprint. 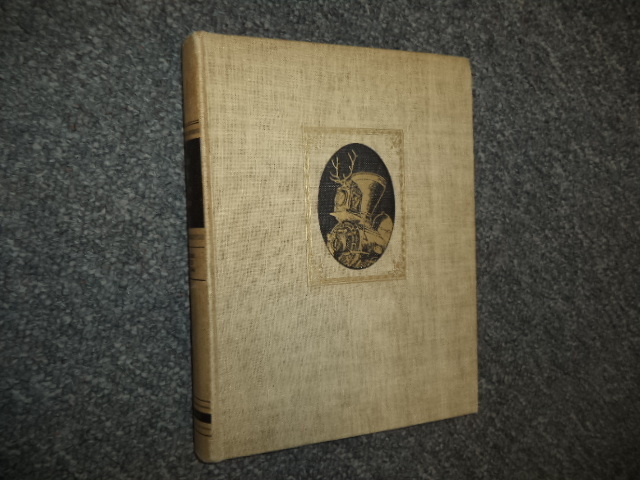 Illustrated with black & white photographs and reproductions. Fine copy in very good (light shelf wear) dust jacket (in mylar).